Ha Noi --> Mai Chau --> Son La --> Dien Bien Phu --> Tam Duong --> Sa Pa --> Lao Chai --> Ta Van --> Giang Ta Chai --> Sapa. Saddling ride over six provinces in the North West of Vietnam to experience winding hill roads, scenic surroundings and cultural lives would be unique memories in the mind of each adventurous motorist. 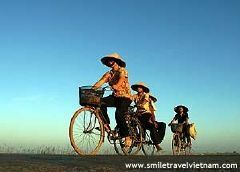 Seven day and six night tailored tour with all accommodation, meals, Minsk -125CC motorbikes, train tickets and other necessities included would guarantee you safe and enjoyable path conquering the Vietnam mountainous region. Driving through peaceful villages of former Ha Tay and Hoa Binh Provinces, we wind our road to stop at Hoa Binh Town for lunch break. Entering Hoa Binh Power Plant before heading up through hills over Kun Pass. Keep moving on nice roads and enjoy spectacular mountain and valley pictures riders would reach Lac Village then checking in stilt houses before the dark. Resting for dinner then enjoying traditional dances of Thai people and special wine local made. 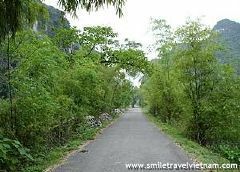 In the morning on the drive way to Son La after breakfast, we would stop at Mai Chau – the largest milk center of Vietnam with enormous vast of green fields. Keep driving we would reach Son La by the noon time. After check – in hotel, we would take a walking tour to former French built prison and wandering around the town. We stay the second night in Son La. Departing from Son La, driving to Tuan Giao town for lunch stop before reaching famous historical battle Dien Bien Phu where Vietnamese people seized the freedom for long lasting struggle. It is chance for us to visit all battle fronts, war museum, airports and many other vestiges of war. Spending tonight at the hotel in Dien Bien. From Dien Bien Phu we drive to Lai Chau and stop there for lunch and contemplate stunning mountainous masterpieces. 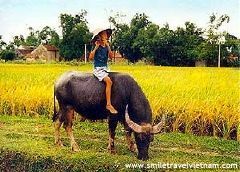 Continue driving to Tam Duong we would have golden chances to meet up colorful hill tribes such as H'Mong, Black Thai, Black Dzao, Pazi and understand their culture and customs. Spending the forth night in Tam Duong. Leaving Tam Duong, we would set off for Sapa drive. Stopping over Binh Lu market we would trek for couples of hours and meet Lu hill tribe on the way. Then drive over Tram Ton Pass topping over 2,000 meters over the sea level, we could see the Fansipan Peak and renowned Silver Waterfall. 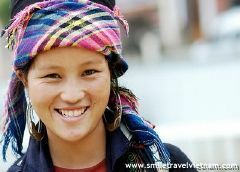 Check in the hotel in Sapa Town and discover the magical Sapa. Parking the motor at the hotel, we would take trekking tour down to Muong Hoa Valley entering Lao Chai Village to meet up Black H’Mong tribe. Stop for refreshing and picnic lunch before moving along bottom of Sapa valley to reach Ta Van Village. 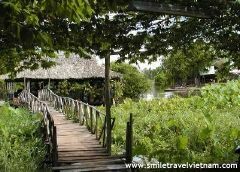 This beautiful destination also is place we stay on local stilt house tonight. After breakfast we keep trekking to Giang Ta Chai village of indigenous Red Dzao tribe. We could enjoy great settings of mountain, forests and waterfall on the way to get motorbike. Taking drive back to Sapa with couples of stops for taking photos on your request. Resting in hotel before taking the night train to Ha Noi. 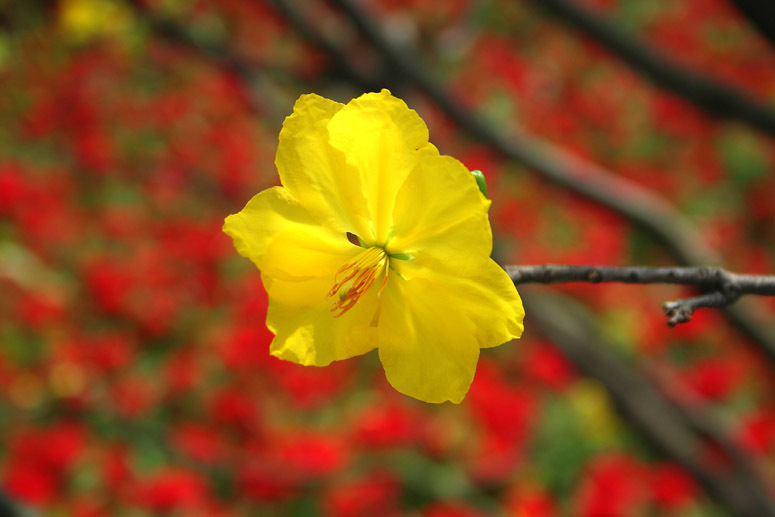 Around 05:00 AM next morning, you would be in the Capital of Social Republic of Vietnam and ending the services.